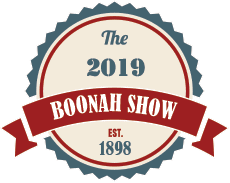 The Boonah Show Society was formed in 1897 (and held its first Show in 1898), making it the oldest Community Organisation in the District, other than School and Church groups. The Boonah Show Society is about to stage its 117th Show. Our wonderful committee members who keep our organisation running and put on a wonderful show every year. The Junior Show Committee are students from Boonah State High School. They appoint Junior Stewards to work in all Sections of the Boonah Show, assisting the Show Society Stewards on both Friday & Saturday of the Show.